With this sweltering August heat it might not feel like summer is ending, but it’s back to school time for thousands of students across the state. Families are soaking up those last few days of summer before their school routines begin, and teachers are preparing their classrooms and wrapping up professional development. It’s an important time of year when administrators and teachers evaluate which programs, teaching trends, and curriculum will best prepare our students for the future. As you are aware, it’s difficult to talk about education and new educational programs without discussing the importance of science, technology, engineering, and mathematics (known as STEM). In fact, STEM education is the committed focus for many North Carolina schools and is explained by the U.S. Department of Education as, “more important than ever for our youth to be equipped with the knowledge and skills to solve tough problems, gather and evaluate evidence, and make sense of information.” That’s why North Carolina Farm Bureau created and supports a unique educational program that focuses on STEM education. Since North Carolina Farm Bureau is the largest agricultural non-profit in the state, the program is built upon the integration of agriculture as the foundation for STEM education. This program is called Ag in the Classroom. For more than 31 years, the mission of Ag in the Classroom has been two-fold: 1) to provide the 100 county Farm Bureaus across the state with educational resources to share with schools in their local communities and 2) to provide K-12 teachers with the training necessary to incorporate agriculture education into our state curriculum. As you can imagine, this is no easy feat. Often times, we receive skepticism because it sounds too good to be true. And as a former K-12 teacher and a university professor, I understand. Programs like Ag in the Classroom that provide free or low-cost professional development workshops, grants and free common core and essential standard-based materials usually do not arise without a catch. But there is no catch. Simply put, North Carolina Farm Bureau is deeply invested and cares about the future of our state. 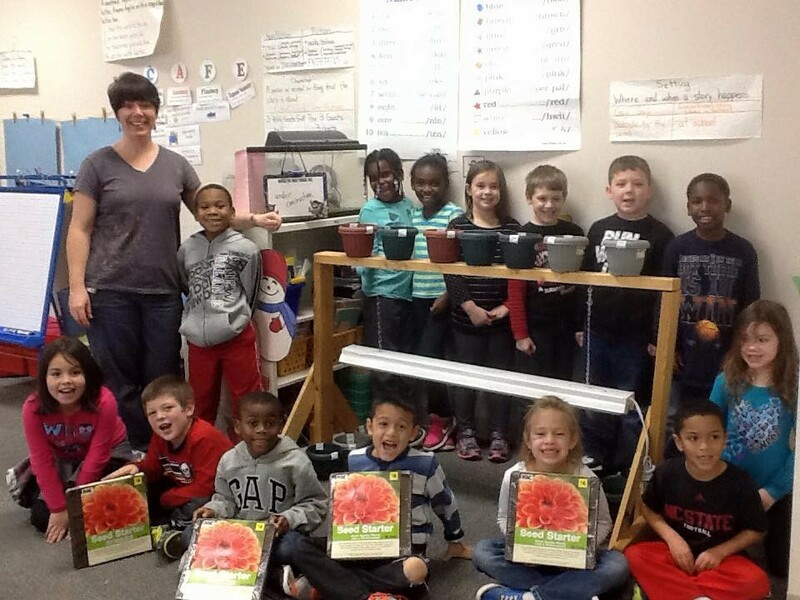 North Carolina Farm Bureau Ag in the Classroom is dedicated to fostering an understanding of the importance of agriculture in North Carolina for all school children. Agriculture continues to be the number one industry in the state, and it is vital that young people acquire an appreciation and valid understanding of its role in our economy and our way of life. Ag in the Classroom concentrates heavily on curriculum in grades K-8, laying a strong foundation in the minds of younger children upon which an appreciation of agriculture can grow and thrive. 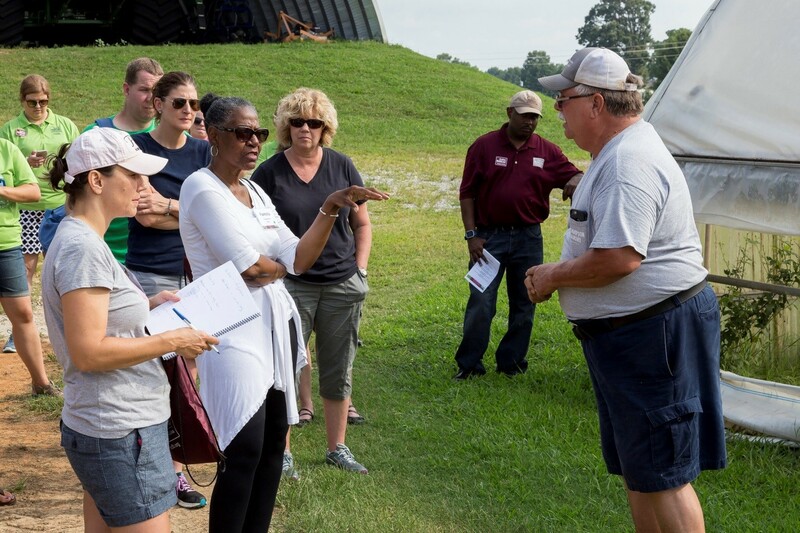 It delivers programs and materials such as lesson plans, interactive STEM-based teacher workshops on working farms, Going Local grants (up to $500 awarded twice a year), school garden workshops, Ag science nights, a book of the month program, and mentors for Kenan Fellowships. These are some of the ways Ag in the Classroom provides a foundation for STEM education by offering a hands-on approach for learning science, technology, engineering, and mathematics applied in today’s farming. As the U.S. Department of Education said, our youth need these types of skills, knowledge, and experiences to succeed “in a world that’s becoming increasingly complex, where success is driven not only by what you know, but by what you can do with what you know”. We must continue to engage students at an early age because agriculture is only becoming stronger. Purdue University’s recent study discovered that 57,900 new jobs in agriculture and environmental-related fields will be available yearly between 2015 and 2020; unfortunately, only about 35,400 students will graduate with some type of ag-related degree from a four-year university. This deficit means many of those positions will remain unfilled. We want teachers across the state to have every opportunity to be successful at their job and to ensure that the next generation has the best education in the world. Ag in the Classroom is available in all 100 counties and we are willing to provide resources, gardening advice, books, information on all North Carolina agricultural commodities, knowledge of farming practices, and grants managed through Ag in the Classroom, to name a few. 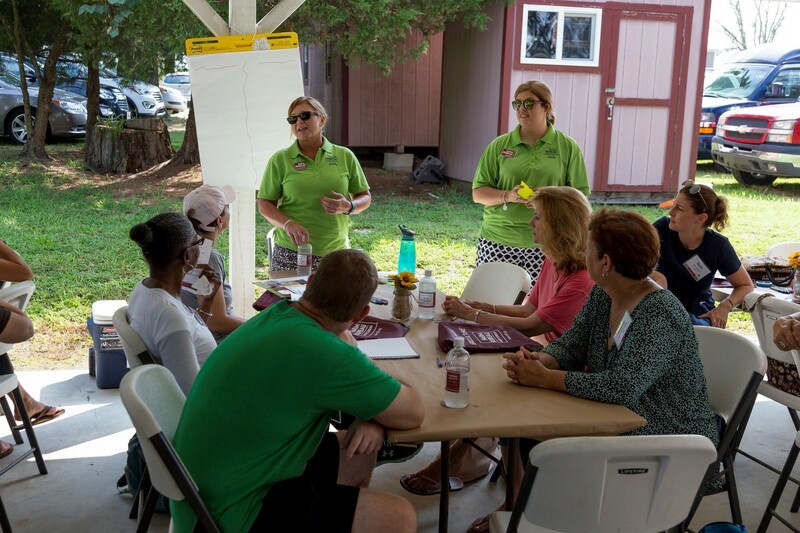 The possibilities are endless for teachers that build lasting relationships and connections with local community partners, such as their county Farm Bureau. Begin today, plant Ag in the Classroom curriculum into the school year, water and feed it with help from your local Farm Bureau volunteer leaders, watch its impact on student learning, and lastly harvest the rewards for creating the next generation of agriculture leaders in North Carolina. To bring Ag in your classroom or your county, simply reach out to a local teacher, your county Farm Bureau, or contact me, Michele Reedy, Ag in the Classroom Program Director, at michele.reedy@ncfb.org.